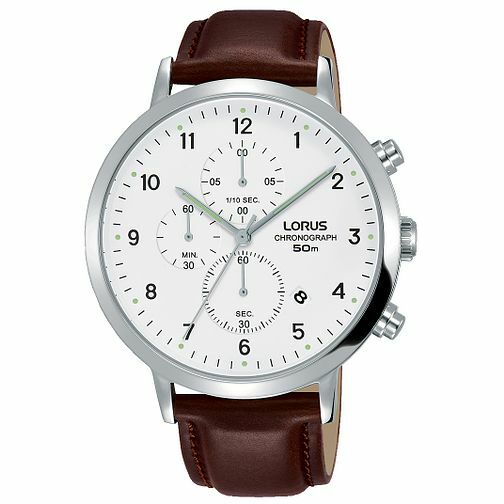 Men's padded brown leather strap chronograph. Sunray white dial with black Arabic numeral hour markers and semi luminous silver hands. Inner dials feature stopwatch minute hand, stopwatch second hand, and stopwatch 1/10-second hand. Date box. 50m water resistance.